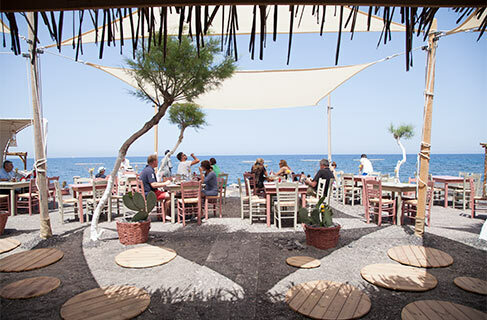 Raw materials from the island, fresh fish and original local specialities served at a nice taverna on Exo Gialos Beach, where you can enjoy your summer meals right by the sea. Relax on the colorful chairs or at the table with the boat and enjoy a delightful meal at really economical prices. Antonis will welcome you while his mother will be preparing delicious Santorinian dishes, such as fava, tomato-balls and korkosela. Tip: Yalos will be organising beach parties with famous djs during the whole summer.